provide the kind of food and coffee that will keep you coming back. 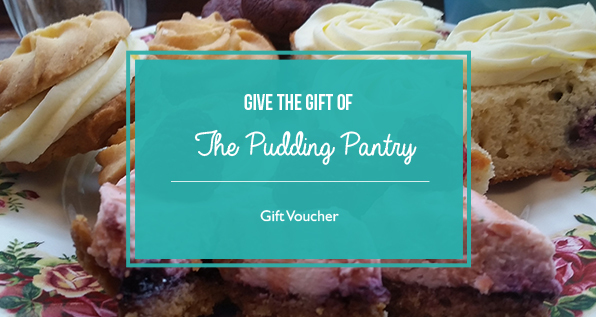 The Pudding Pantry is open to all those who get as excited by food as we do! Plus don't forget we're open until late on Friday and Saturday evenings. We've a range of gift cards to suit all tastes, whether you're looking for a simple gift card from ten pounds upwards, or a gift card for one of our range of special afternoon tea's.